To visit the Zonavita showroom is to immerse oneself into the future of kitchen design. You’ll experience firsthand the many stunning displays that demonstrate not only the Dynamic Kitchen™ concept, but also the most innovative storage and organization accessories by Blum. And when it comes to cabinet colors and choices in surfaces, an inspiring array of examples showcase how fully customizable Zonavita can be. Located inside the Thurston Kitchen + Bath building on 8th and Kalamath, the Zonavita showroom is the perfect place for architects, designers and homeowners to envision the dynamic spaces that can be created for their next project. For more information or for a personalized tour, please contact us at (303) 629-0119. 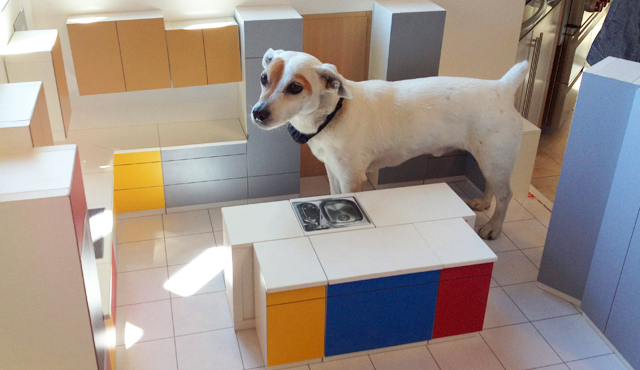 When you visit, be sure to ask Jackson for a tour of the scale model Dynamic Kitchen.